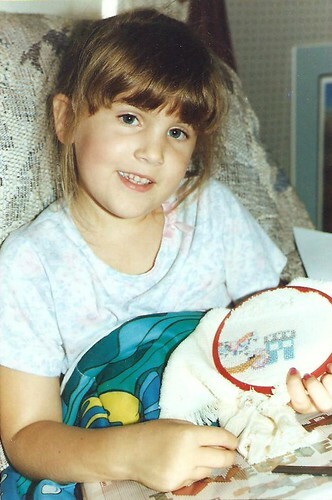 who is that adorable little girl x-stitchin'? that's me at age five! Love the story and the picture! Your nails are even painted! So cute!